Nothing. Well, sort of … but not exactly. Let me explain. A week and a half ago, I participated in a planning meeting for next winter’s Emcee Training conference. Our planning team consisted of the primary teachers and coaches last year: Vicki (my supervisor who excels at program planning), Lee (one of Cru’s top emcees) and me. We wanted to look at what we teach to make sure that our sessions truly meet the needs of those who attend. Attendees typically include both students preparing to emcee weekly campus meetings and Cru staff members who will emcee huge regional winter conferences. 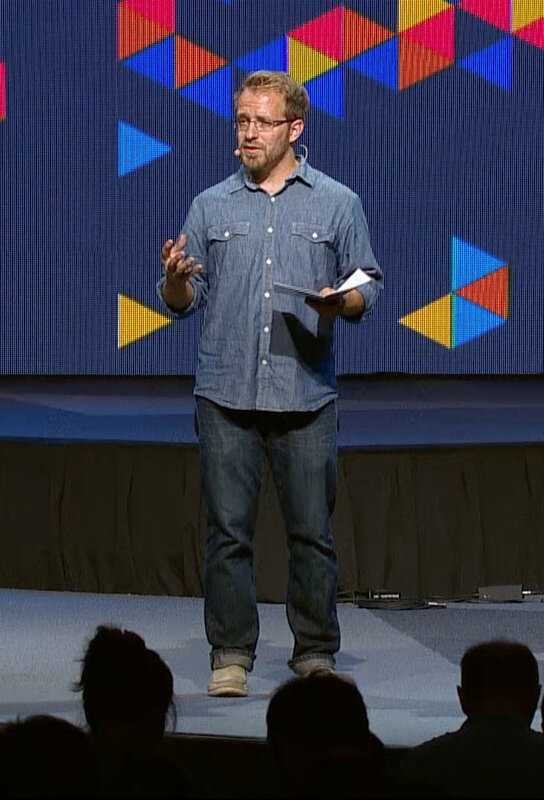 Lee emceeing a Cru conference. We started listing possible teaching topics on the huge whiteboard in our meeting room. When we couldn’t think of any more ideas, we categorized what we had listed. We decided to scrap a few items and organized the rest into a logical schedule for the three-day conference. By the end of the day we all felt that we had come up with an agenda that will not only teach but encourage and motivate our trainees. But What About the Squirrel? Cru’s Mission: Win, Build, Send.